In Windows 10, most apps’ window title bars is white in color by default. Unlike in Windows 8 and Windows 8.1 where changing the color applies to window borders including the titlebars, in Windows 10, picking a color no longer affects the titlebars, where the name of the app and title bar buttons (also known as window state button, i.e. Minimize, Maximize and Close) reside. 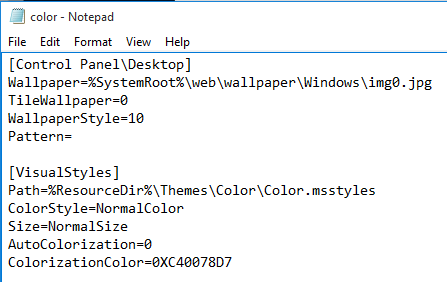 In a way, Microsoft forces the title bars to be in white color, by programming the uDWM.dll which manages desktop theme to ignore the color specified in the theme file and set the color to white when the current theme file name matches the “aero.msstyles”, the default theme file. 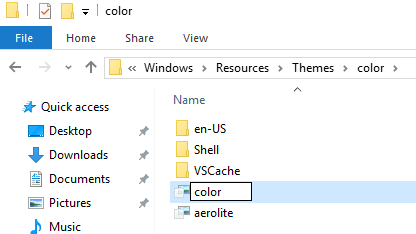 If it matches, Windows ignores the color specified in the theme file and sets the color to white. 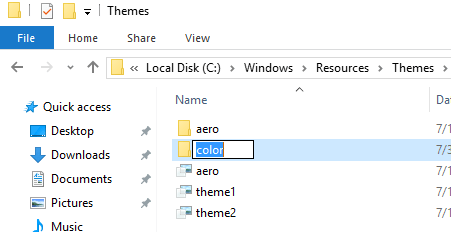 With a little hack, Windows 10 users can apply color to the title bars, by modifying the default theme file, so that it does not contain the name “aero.msstyles”. Where %WinDir% is normally C:\Windows. Make a copy of aero folder, i.e. by copy (Ctrl + C) and paste (Ctrl + V) the aero folder, at the same folder location. Tap or click Continue when prompted with “Folder Access Denied” UAC dialog to provide administrator permission to copy the folder. Subsequently, “File Access Denied” may be shown, select Do this for all current items check box and then click or tap Skip to continue. Rename the new duplicated folder, i.e. aero – Copy, to another name you prefer, e.g. color (this tutorial will use “color” as the new name as example, but you can use any other name). Navigate into the new folder, i.e. color or whatever name which you changed the folder to. Rename aero.msstyles (a Windows Visual Style File) to color.msstyles (replace color with name you chosen). Go to en-US folder, and rename aero.msstyles.mui to color.msstyles.mui (replace color with name you chosn). Note: en-US name is for US English. If you are using Windows 10 in another language, the folder name which is based on language code will be different. Go back to the main Themes folder. 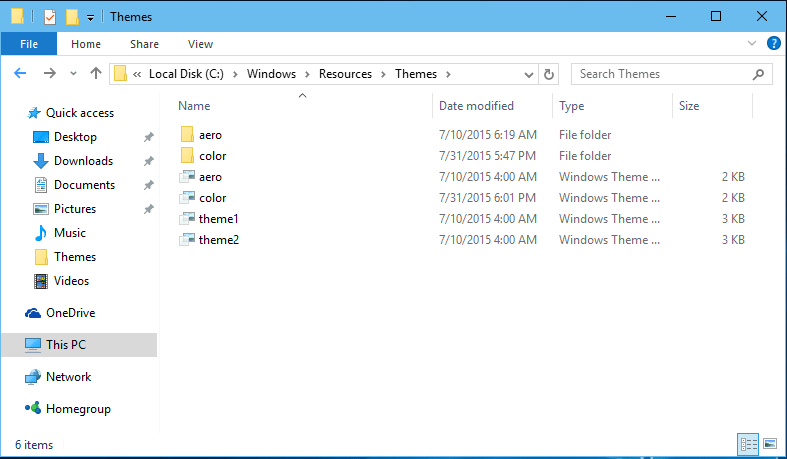 Make a copy of aero.theme (a Windows Theme File), i.e. by copy (Ctrl + C) and paste (Ctrl + V) the aero.theme file, to the Desktop. Copying to Desktop is so that we can edit the file content easily later on. Alternatively, you can make a copy of the same folder location, and tap or click Continue when prompted with “Destination Folder Access Denied” UAC dialog to provide administrator permission to copy to the folder. But in the following step where editing of the theme file is required, you must open Notepad as Administrator to perform the change. Rename the copied aero.theme (or aero – Copy.theme) on the Desktop to color.theme (replace color with the theme name you used). Right-click the color.theme (replace color with the theme name you chosen) file, select Open With, then in the “How do you want to open this file” pop-up, select Choose another app, and open it with Notepad. When done with editing, save the file. You can close the Notepad after saving. Copy the edited color.theme (or other theme name you chosen) back to the %WinDir%\Resources\Themes folder. 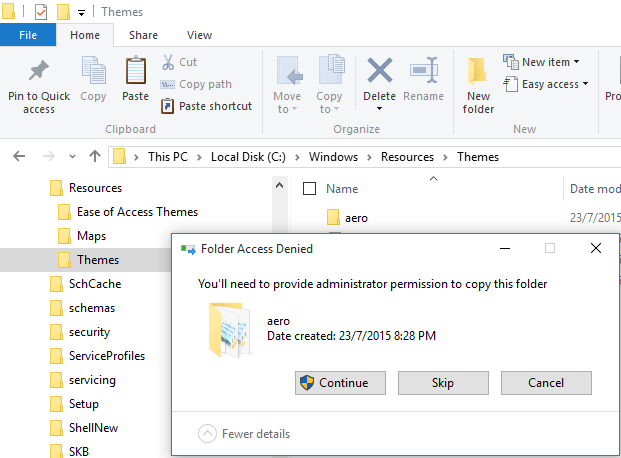 Tap or click Continue when prompted with “Destination Folder Access Denied” UAC dialog to provide administrator permission to copy to the folder. Double click on color.theme (or other theme name you used) to activate the theme. Windows will switch to the new theme (where aero.msstyles is not detected), and display color for window title bars instantly. Only the color of title bars on Windows desktop app is applied with color selected in the Settings app. The modern universal apps from the Windows Store will always have white title bars unless the developers specify a different color for the window title bars. After enabling the color on window title bars, you can customize and personalize the color by right clicking on the Desktop and selecting the Personalize. This opens the Settings app’s Personalization. Go to Colors tab. Select a color of your choice (if you need more choice of colors, enable color mixer in Windows 10), and new color will be activated and applied automatically on selection. You can select (toggle to On) automatically pick an accent color from my background to let Windows picks the color for you that matches your desktop background wallpaper.